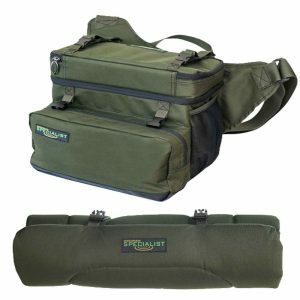 The Specialist Compact 20L Roving Bag is designed with the specialist angler in mind and is perfect for a variety of angling situations. 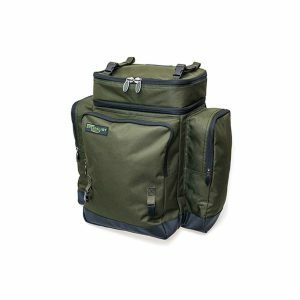 The Compact Roving Bag is made from a tough and durable 600 denier fabric with a reinforced waterproof base. 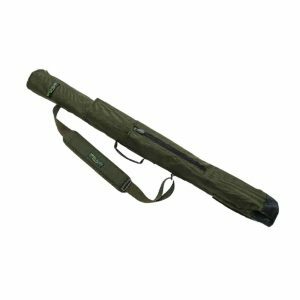 It has two external mesh pockets, a zipped front pocket, foil-lined top compartment, large hidden pocket and padded main compartment. 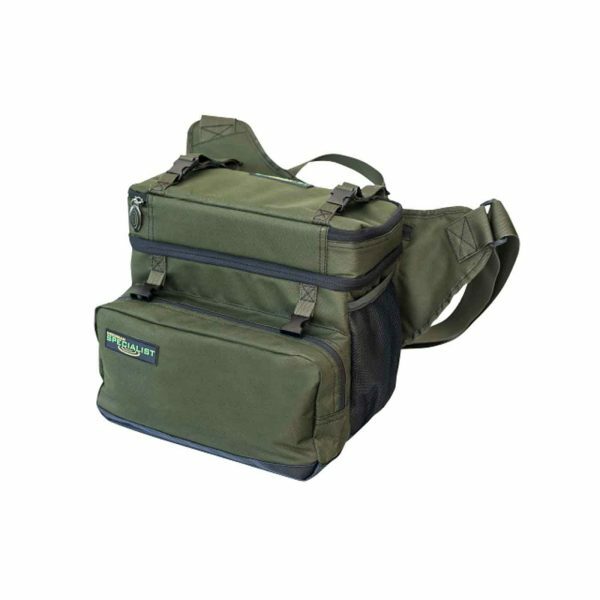 The bag also features a sculpted back and padded shoulder strap for extra comfort. 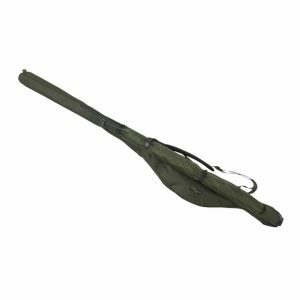 It also has two clips which are used to securely attach the Specialist Compact Unhooking Mat. The two extendable carry straps on the top of the bag can be used to hold extra items of tackle/clothing.